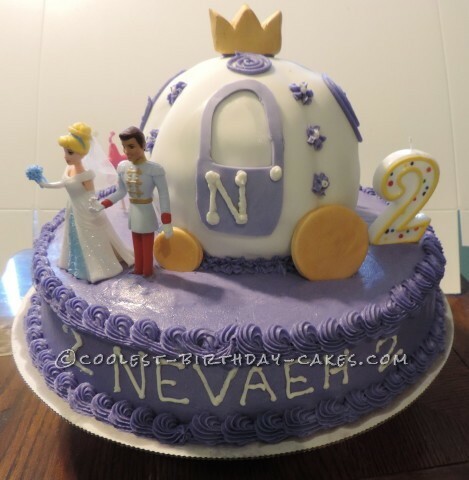 For this Cinderella carriage cake, I used a wilton ball cake pan to make the carriage and covered it with fondant. The base was a 12″ round 3″ deep pan. The crown and wheels were made of fondunt and sprayed gold. The figurines I purchased at Walmart The base was buttercream colored purple. I covered the carriage in white fondant and I cut the door and window out of purple-colored fondant.